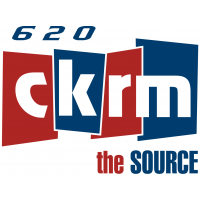 Saskatchewan Roughriders Head Coach & GM Chris Jones was on 620 CKRM's SportsCage on Friday to address a variety of topics. CJ: "Certainly I'm disappointed in Duron. You would wish he'd be past this type of thing. I can't say a lot about it because it's a legal situation. We'll just have to wait until it works itself out legally." CJ: "That's kind of Jeremy's area of expertise. He's a guy that's very conservative with it. We're right at it (the limit). It's one of those deals where everybody else is in the same situation that we are. We had the luxury last year where our QB situation wasn't like it used to be; spending a lot of money at that position. But certainly coming up this year with Zach, he came down a considerable amount from what he's used to making but it's still more than we spent at that position last year. We've gotta make all the zeroes line up and we can't be over the cap. We got work to do." CJ: "We've got a pretty good roster and we're just trying to hang onto the guys that we do have. If the right opportunity presents itself, we'll be aggressive with it but at the same time, we like our people." CJ: "Adarius and my conversation will stay private. I've known him since he was in Grade 7 but I told him to only take the opportunity where he'll get to play the most, and is the best situation. This is how he feeds his family so he has the right to make that decision, and I guess Winnipeg is the place where he feels he'll see the most footballs." Sounds like the o-line remains a problem.